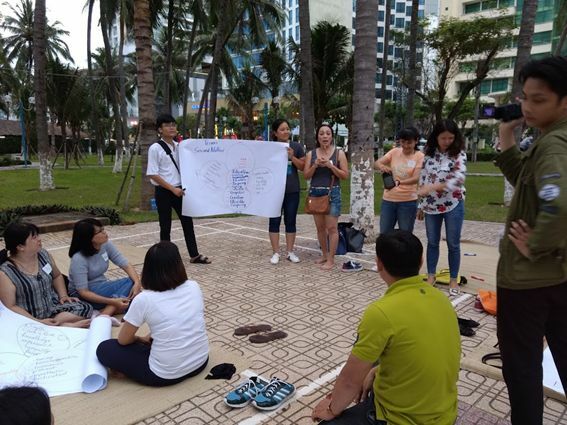 Dr. Agnes Tang, a Fulbright Senior Scholar to Taiwan, and Danielle Fischer, an English Language Fellow in Vietnam, led the 2019 ACCESS Teacher Training in Nha Trang University, Vietnam. 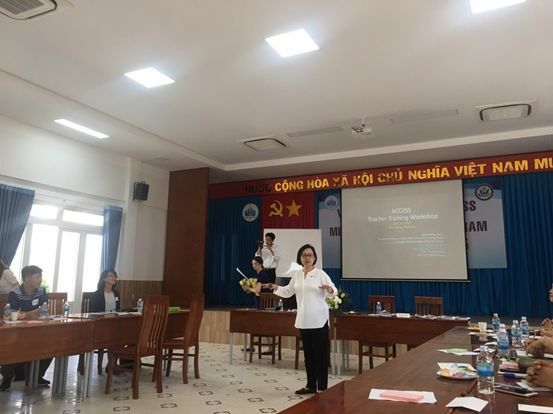 Twenty-five ACCESS English teachers from all regions of Vietnam participated in the annual teacher training. Topics covered in the workshop include differentiated instruction, adolescent characteristics and their implications for language teaching, vocabulary instruction, and critical thinking skills. The teachers also participated in literature circles, and experienced first-hand how this instructional strategy can facilitate student autonomy and foster critical thinking. 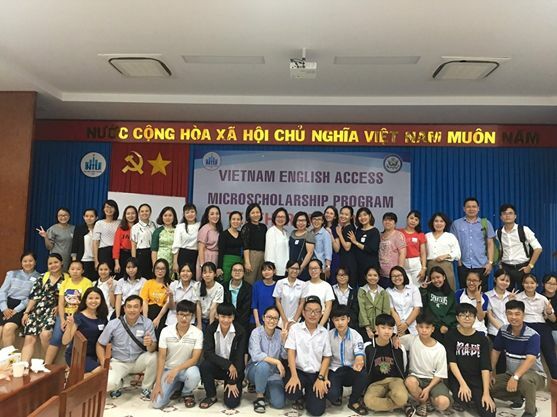 One of the highlights of the event was the afternoon tea with local ACCESS students, grades 9-11, who shared their experiences with the program and learned about what other students are doing throughout Vietnam.